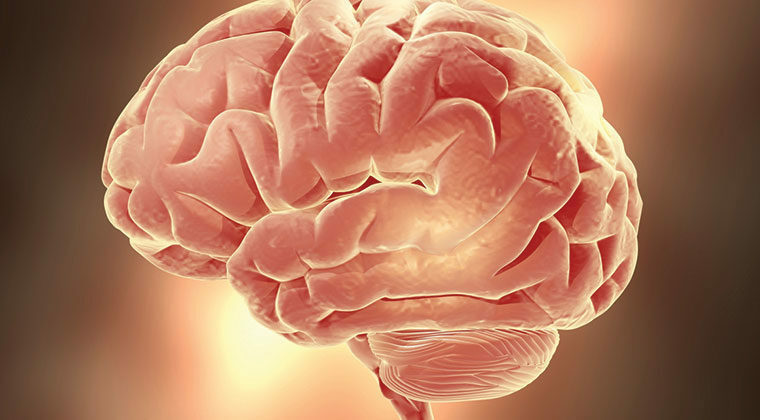 How does brain injury occur? As the control center for all of the body's functions, the brain is responsible for conscious activities (walking, talking) and unconscious activities (breathing, digestion). The brain also controls thought, comprehension, speech, and emotion. The brain is quite fragile, though it is protected by hair, skin, skull, and a cushion of fluid. In the past, this protection was mostly adequate, until we developed new and lethal ways of hurtling along at high speeds. Injury to the brain, whether the result of severe trauma to the skull or a closed injury, can disrupt a range of functions. The Centers for Disease Control and Prevention estimates that 5.3 million Americans are living with disabilities from brain trauma, resulting in more than 50,000 deaths per year. TBI is twice as likely in males than in females. The highest incidence is among persons 15 to 24 years of age and 75 years and older. The most common causes of TBI includes motor vehicle accidents, falls, acts of violence, and sports injuries. Alcohol is associated with half of all brain injuries, either in the person causing the injury or in the injured person. People who have sustained a spinal cord injury often have accompanying brain injury. This is especially true for higher cervical injuries, which are closer to the brain. Enclosed within the bony framework of the skull, the brain is a gelatinous material that floats in cerebrospinal fluid, which acts as a shock absorber in rapid head movements. Injury to the brain can be caused by a fracture or penetration of the skull (vehicle accident, fall, gunshot wound), a disease (neurotoxins, infection, tumors, or metabolic abnormalities), or a closed head injury such as shaken baby syndrome or rapid acceleration/deceleration of the head. The outer surface of the skull is smooth, but the inner surface is jagged. This is the cause of significant damage in closed head injuries, as the brain tissue rebounds inside the skull over rough bony structures. With trauma, brain damage may occur at the time of impact or may develop later due to swelling (cerebral edema), bleeding into the brain (intracerebral hemorrhage), or bleeding around the brain (epidural or subdural hemorrhage). If the head is hit with sufficient force, the brain turns and twists on the brainstem like an axis, interrupting normal nerve pathways and causing a loss of consciousness. If this unconsciousness persists over a long period of time, the injured person is considered to be in a coma, causing a disruption of nerve messages going from the brainstem to the cortex. A closed head injury often occurs without leaving obvious external signs. Differences between closed and penetrating injuries can be significant. A bullet wound to the head, for example, might destroy a large area of the brain but the impact may be minor if the area is not a critical one. A concussion is a type of closed head injury; while most people fully recover from a concussion, there is evidence that accumulated injury to the brain, even moderate injury, causes long-term effects. Injured brain tissue can recover over time. However, once brain tissue is dead or destroyed, there is no evidence that new brain cells form. Recovery usually continues even without new cells as other parts of the brain take over the function of the destroyed tissue. Brain injury can have serious and lifelong effects on physical and mental functioning, including loss of consciousness, altered memory and/or personality, and partial or complete paralysis. Social consequences of mild, moderate, and severe TBI are numerous, including higher risk of suicide, divorce, chronic unemployment, and substance abuse. The annual cost of acute care and rehabilitation in the United States for TBI is enormous: $9 billion to $10 billion. The average lifetime cost of care for a person with severe TBI range from $600,000 to $2 million. Rehabilitation begins immediately after injury. Once memory begins to be restored, the rate of recovery often increases. However, many problems may persist, including those related to movement, memory, attention, complex thinking, speech and language, and behavioral changes. Survivors often cope with depression, anxiety, loss of self-esteem, altered personality, and, in some cases, a lack of self awareness of their deficits. Rehab may include cognitive exercises to improve attention, memory, and executive skills. These programs are structured, systematic, goal-directed, and involve learning, practice, and social contact. Memory books and electronic paging systems to improve particular functions and to compensate for deficits. Psychotherapy to treat depression and loss of self-esteem. Medications for behavioral disturbances associated with TBI. Some of these drugs have significant side effects and are used only in compelling circumstances. Behavior modification to reduce personality and behavioral effects of TBI and to retrain social skills. Vocational training is also added to many rehab programs. According to the National Institutes of Health, persons with TBI and their families should play an integral role in the planning and design of their individualized rehabilitation programs. Brain injuries vary, depending on which part of the brain is injured. A blow to the hippocampus causes memory loss. A brainstem injury is similar to a high spinal cord injury. Injury to the basal ganglia affects movement, and damage to the frontal lobes can lead to emotional problems. Injury to certain parts of the cortex affects speech and understanding. As in stroke, spinal cord injury, and other types of nerve trauma, brain injury is not an isolated process, it is a continuous event. Waves of destruction can last days and even weeks after the initial damage. With currently available treatments, doctors are unable to fully repair the original injury, which may include massive loss of nerve cells. Release of excitatory amino acid (i.e. glutamate). Edema caused by cell death in the injured tissue. There have been numerous drug trials to control a wide range of secondary effects of brain trauma, including glutamate toxicity (selfotel, cerestat, dexanabinol), calcium damage (nimodipine), and cell membrane breakdown (tirilazad, PEG-SOD). Smaller clinical studies have investigated the application of growth hormones, anticonvulsants, bradykinin (increases blood vessel permeability), and cerebral perfusion pressure (increases blood flow to the brain). Several trials have tested the effect of acute hypothermia (cooling) after brain trauma. While there are intensive care units that apply cooling, there are no specific recommendations for its use. Clinical trials of neuroprotective agents have generally not been successful, even though the various therapies seemed to work well in animals. Cell replacement (i.e. stem cells) is also theoretically possible, but most studies have yet to advance to human trials. To be sure, the injured brain does have some capacity to recover. As scientists put it, the brain is "plastic.” Using nerve growth factors, tissue transplantation, or other techniques, the brain can be encouraged to remodel itself and potentially restore function. Interventions may also work better at certain times. A series of timed medications might be used, each addressing specific biochemical processes in the wake of brain damage. If you are looking for more information on traumatic brain injury or have a specific question, our information specialists are available business weekdays, Monday through Friday, toll-free at 800-539-7309 from 9am to 5pm ET. Additionally, the Reeve Foundation maintains fact sheets on brain injury and aphasia with additional resources from trusted Reeve Foundation sources. Check out our repository of fact sheets on hundreds of topics ranging from state resources to secondary complications of paralysis. Bob Woodruff Foundation, helping to heal the physical and psychological wounds of war. Brain Injury Association of America (BIAA) provides information, education and support to assist the 3.17 million Americans currently living with traumatic brain injury and their families. Brain Injury Resource Center/Head Injury Hotline (BIRC) serves active duty military, their dependents, and veterans with traumatic brain injury through state-of-the-art medical care, innovative clinical research initiatives and educational programs. Defense and Veterans Brain Injury Center (NABIS) is a society comprised of professional members involved in the care or issues surrounding brain injury. The principal mission of the organization is moving brain injury science into practice. Traumatic Brain Injury Model Systems of Care, located at Craig Hospital, is a central resource for researchers and data collectors within the Traumatic Brain Injury Model Systems (TBIMS) program.